546544. SPR LEGGE A. R.
5/10 LONDON FIELD COY. R.E. 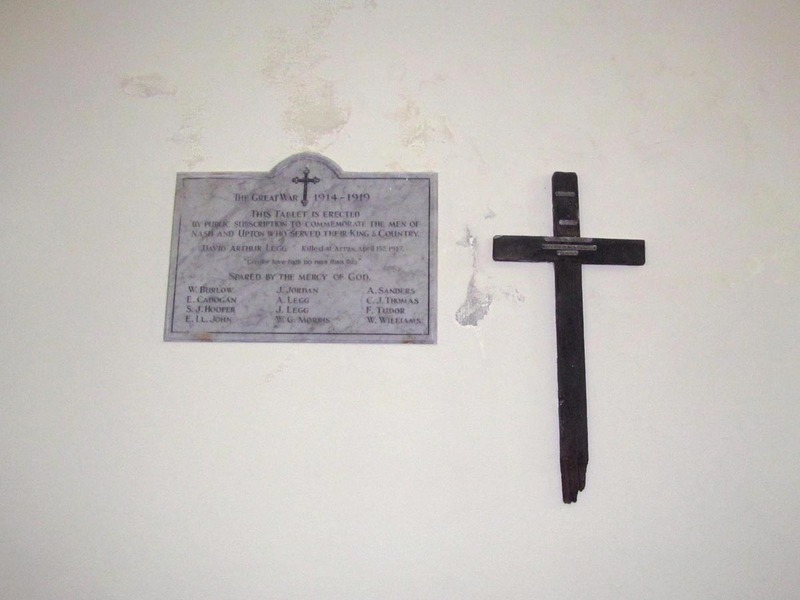 The cross appears to be a standard British Army Cross with GRU tags, the base has rotted off, it is mounted on the wall next to teh war memorial tablet which unusually lists all those who served, he appears to be the only death in the parish. 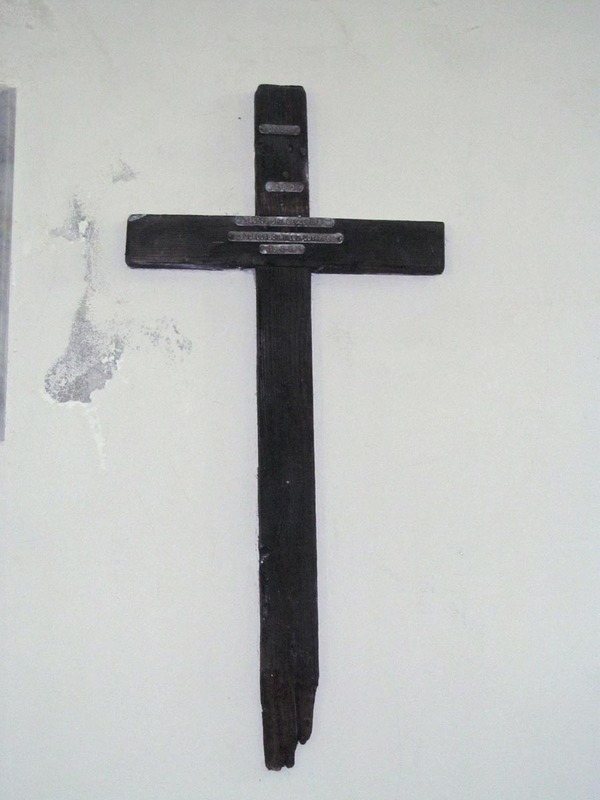 There is a discrepancy between the details on the cross and the details listed on CWGC, including the spelling of his surname, initials and service number. 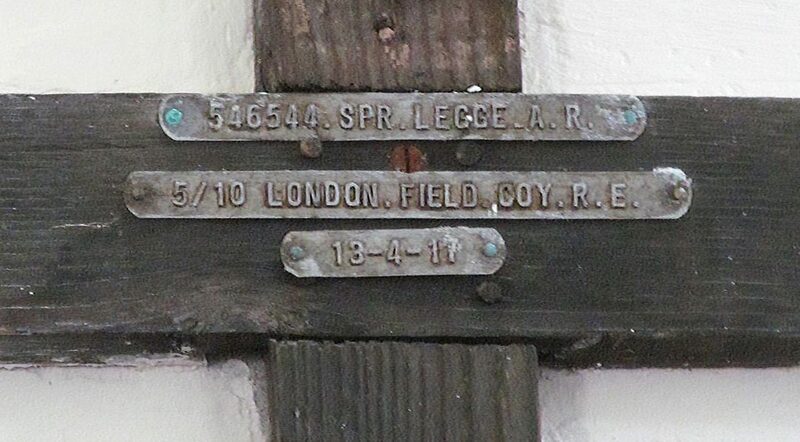 David Legg was part of a concentration burial at N.3.b.9.4 (yet to be checked as to location), he appears to have been originally buried with other members of the 510th possibly a shell hole or mass grave. He was identified from effects. His gravestone in Feuchy is marked ‘Greater love hath no man, than that he lay down, his life for his friend’. Regiment/Service: Royal Engineers, 510th London Field Coy. 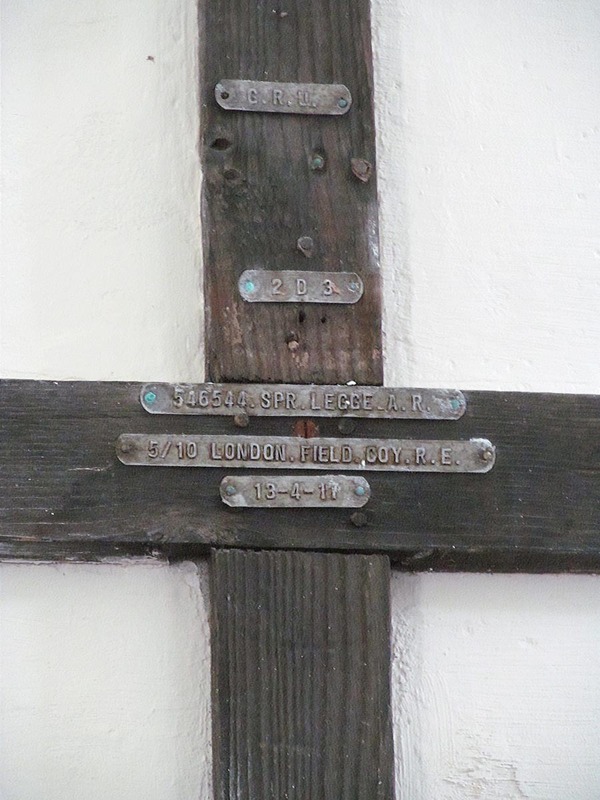 Additional Information: Son of Andrew and Frances Legge, of Upper Nash, Lamphey, Pembrokeshire. With thanks to Gethin Matthews of Welsh Memorials to the Great War.